James now transitions from his discussion of favoritism into putting our love into action. Verses 12 and 13 accomplish this transition by reminding us that we cannot operate behind God’s back or in secret. If we speak and act in ways that are not demonstrative of God’s love in us, we will have a problem with God. This takes us to verses 14-17 where the old arguments take place; quite the battlefield with casualties littering the field. “Faith versus Works”: Oh my, here we go again! I’ve lost count of how many times I’ve written this, but this argument is a complete non-starter and entirely invalid; they are not mutually exclusive. As I have written time and again, salvation is by grace through faith. Salvation, however, is not the end of the story, it is the beginning. 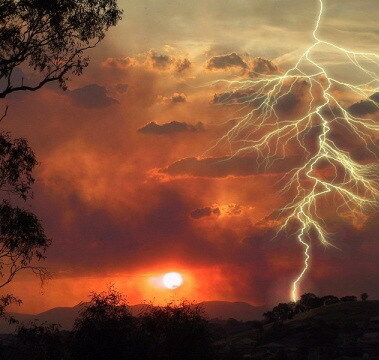 Deeds are part of our response to this grace, they come after salvation. They are not the way we earn it, for salvation cannot be earned. The real difficulty comes when we receive our salvation by grace through faith and then boldly declare that all is done and we never need to “do” anything; this is a contradiction of Scripture, no matter how many verses you cite out of context. What good is it, my brothers and sisters, if someone claims to have faith but has no deeds? Can such faith save them? James drops a rhetorical question here and then continues with a hypothetical. This hypothetical gives us a fairly obvious situation where action is required, in which any sane person would agree that action is required, and then points out that the kind of faith that would just wish the destitute person well but do nothing to help them is dead. If we are followers of Jesus Christ, then we will do as He did. If we love one another, our love must be active as His love was active. If we are servants of Jesus Christ, then we must serve Him by serving others and putting their interests ahead of our own. If we would share the love of God with others, then we must actually share it, and that involves much more than mere empty words. Having His love and compassion for others means more than preaching sermons and then saying we want higher taxes (on someone else) and then letting the government handle the problem, for the pagans and atheists do that much: We are different from the world! As His followers, we are called to actually share His love in an active way with those around us. Yes, this requires that we DO something! 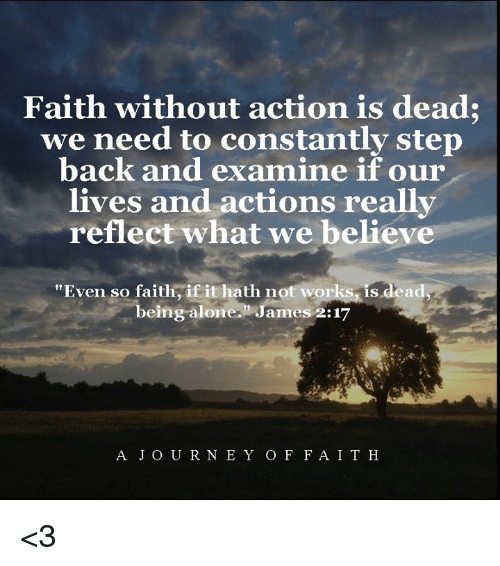 This entry was posted in Daily Devotion, Faith Without Action is Dead and tagged Born Again, faith, Faith Without Action is Dead, Love for others. Bookmark the permalink.